One of D-Link's flagship at CES 2012, the Amplifi HD Media Router 3000(model DIR-857) is the first ever wireless home router on the market equipped with USB 3.0 which also includes the D-Link Shareport cloud technology that enables the router to support any USB devices for data sharing across the network via internet connection. The DIR-857 is armed with compact internal antennas, four Gigabit LAN ports and WAN port. 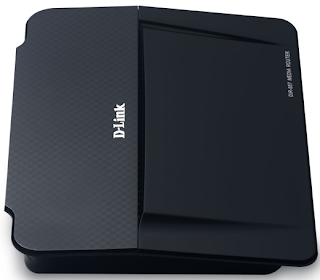 It’s a dual-band router that combine three-stream standard at 450mbps caps and each of the bands can deliver 2.4 GHz and 5GHz of signal in a long distance good for streaming 1080p HD video, gaming and internet apps. According to Cnet.com, apart from the USB 3.0 port that supports any USB device, such as an external hard drive or printer, the router also has an SD card slot for those who want to quickly share data across a network or even the Internet. The router also comes with a few mobile apps for iOS- and Android-based devices that enable users to share media on the go. The DIR-857 will be available for purchase later this month worth around $170.